New England is one of the most romantic places in the country. It’s the perfect spot for you and your significant other to enjoy a romantic getaway in Connecticut. Unwind from the everyday routine and rekindle the flame! With so many activities available to you, it can be hard to plan the perfect day but worry no more. We have gathered the best things to do in Connecticut in one perfect itinerary. So start packing your bags and get ready for one of the most romantic getaways in CT! 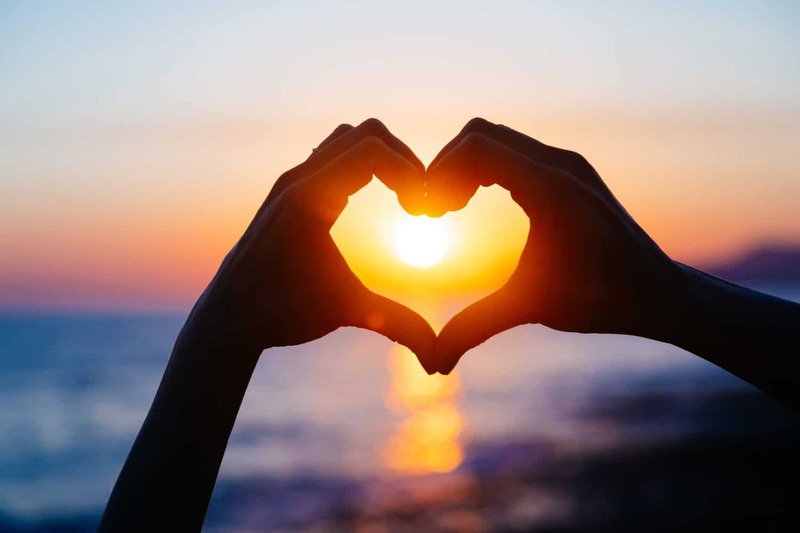 If you’d like to discover more romantic ideas, download our free Vacation Guide! Get our top recommendations for gourmet restaurants, incredibly fun outdoor adventures, special events, and more! The romantic getaway in Connecticut you’ve always dreamed of is but one step away. So don’t wait another second! Start planning today and have a wonderful time at Stonecroft Country Inn! The best way to start your romantic getaway in Connecticut is to let Mother Nature surprise you! The state is full of magical forests and hills and the best way to explore them is on the back of a horse. Not only is it incredibly romantic, but it’s also fun and exciting! Share this unique experience at these four best places for Horseback Riding and make precious memories with the one you love. All of this morning activity will most certainly wear you out, and that’s why it’s the perfect time to stop and eat delicious food. Pack yourself a romantic lunch with strawberries, cheese, grapes, bread, and wine, and head over to one of the best beaches near Mystic, CT! There’s really nothing like sitting on a blanket with your better half and enjoying a special picnic overlooking the ocean. It’s an all-time favorite! After all that good food, sit back in your car and enjoy the beautiful scenery New England has to offer. Discover these four Connecticut scenic drives that will take you through the hills and along the coast. Roll down your window and let the music evaporate as the wind rushes through your hair. Smell the red oaks and the sugar maples all around you and even witness a few deer along the way. End your little road adventure at the Mystic Seaport and board one of the ships for a wonderful cruise! There’s nothing like sailing away on the dark ocean and seeing the coast unfold before your eyes. Turn your head to where the waves are crashing and get lost in the immensity of the horizon. Nestle up together in a warm blanket with a cup of tea in hand and enjoy this most authentic New England experience. As the sun goes down, the romance level goes up! Take the love of your life to a stunning candlelight dinner. These seven best restaurants in Mystic are perfect for the occasion. Get a taste of Connecticut’s seafood with a glass of white wine and reflect on the marvelous day you just had. Reach over the table, take his or her hand, and surprise them with a delicious chocolate dessert! 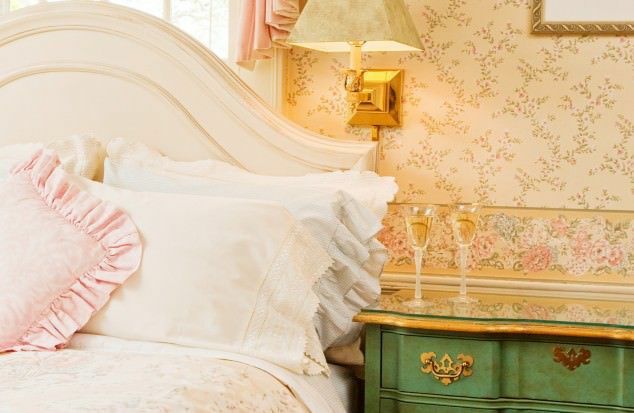 After spending the day enjoying all of these romantic activities, come home to a luxurious room at Stonecroft Country Inn. 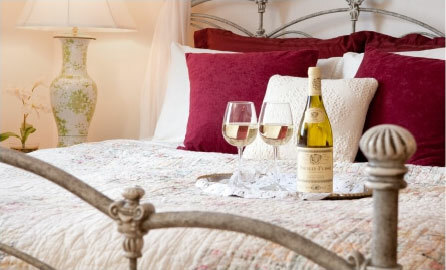 Our accommodations are the perfect nest for you and your better half! Book our Westcroft Room and enjoy a beautiful view of the lawn from your queen bed. Relax in a hot bath and cozy up by the fireplace with a glass of wine in hand. Get a good night of sleep and wake up the next morning to a delicious homemade breakfast. Make sure to taste our fluffy French toast. It’s one of the best dishes you’ll ever have! 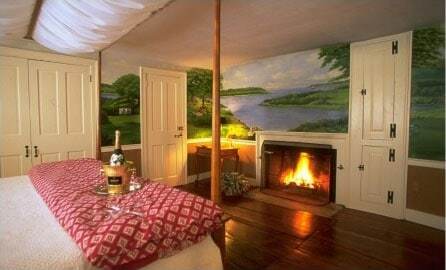 Book your stay today and get ready to experience one of the most romantic getaways in CT, the Stonecroft Inn!